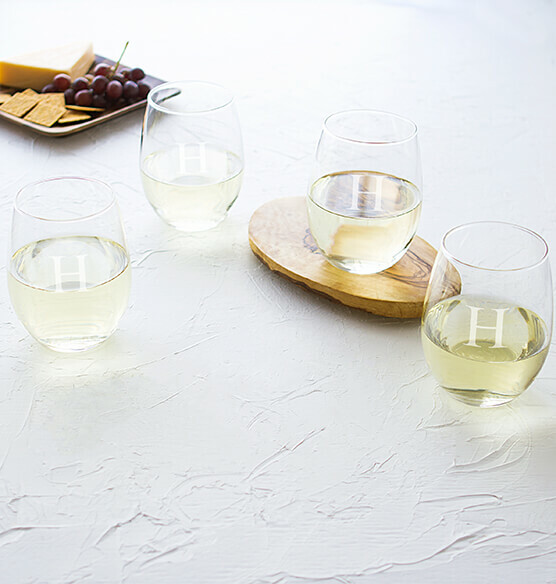 The Personalized 21 oz. 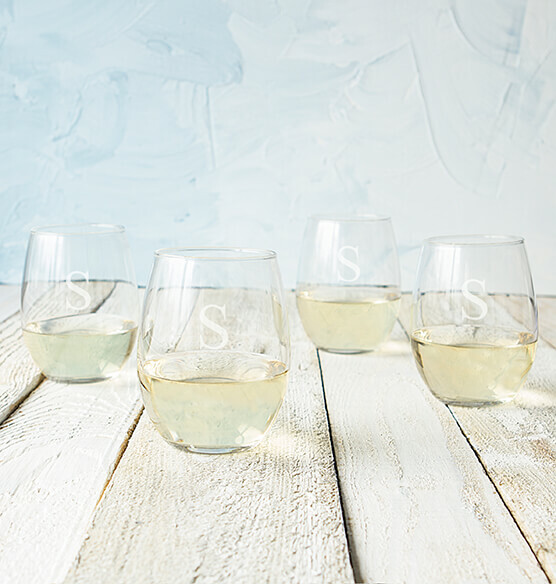 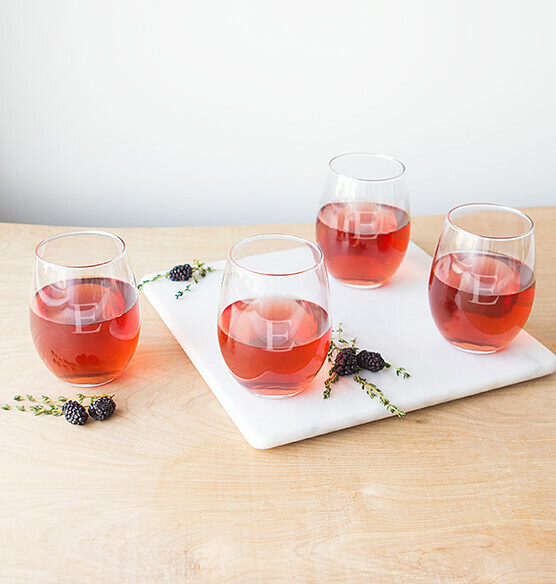 Stemless Wine Glasses are perfect for everyday dining and special occasions. 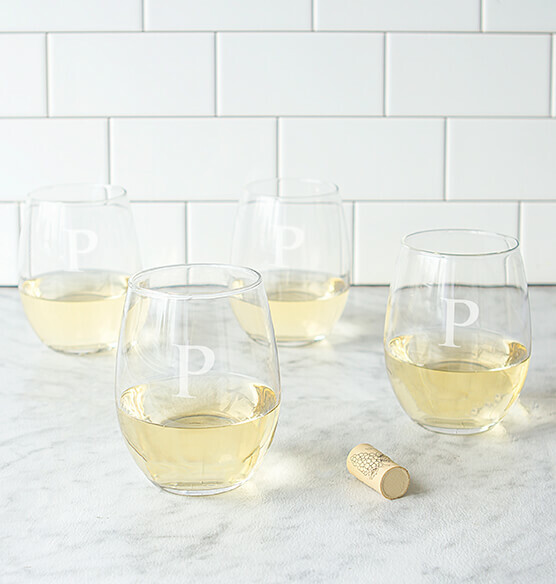 Engraved with a single initial, each wine glass is beautifully crafted with a flat bottom and modern bell. 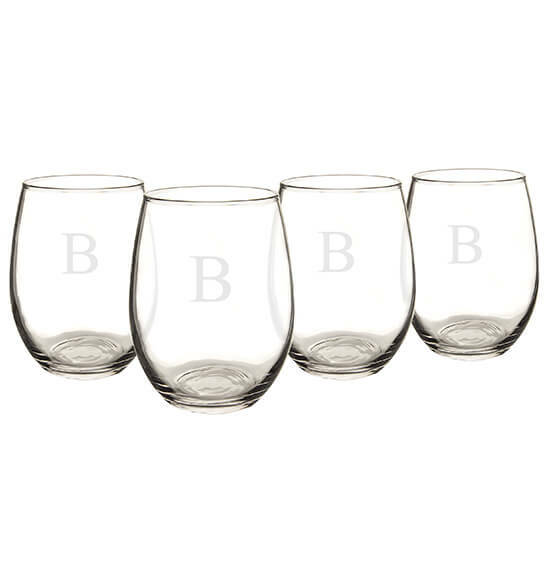 This wine set would be a great gift for any wine enthusiast or an excellent addition to your own personalized glassware collection.